You know what they say: Safety first. And what is more important than keeping your home, full of your friends, family, and possessions safe? Well, if you don’t own a video doorbell, then we’re afraid to let you know that you’re probably coming up short. If you don’t have one, this would mean that your front entryway would be left unguarded practically all day when you aren’t home! But worry no longer. 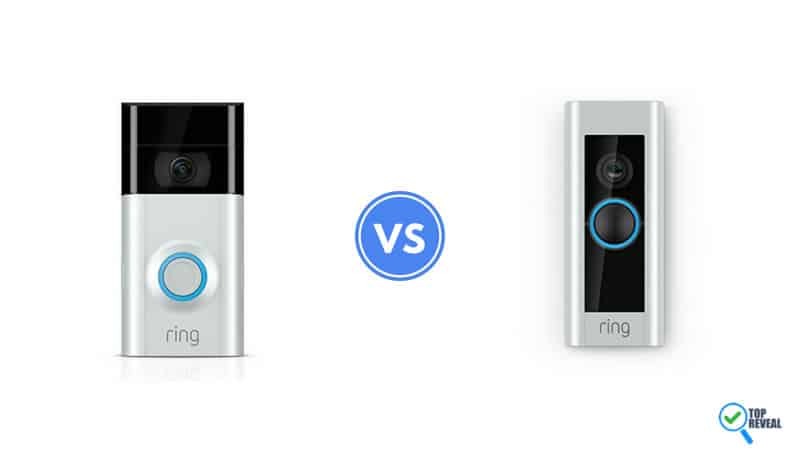 The company Ring makes the best video doorbells out there and we’re comparing the Ring 2 vs Ring Pro video doorbell models to give you an idea of which one would be better for you. Why get a video doorbell? Which Ring should I get? 1 Why get a video doorbell? Which Ring should I get? 3 The Ring 2 versus Pro Comparison: What are the Difference? It is often said by experts that the most vulnerable part of any home is the front door. Given that it is indeed made for entry and exit, this makes it inviting for those that you do want in your home – and those that you don’t. When you look at this idea and realize that you aren’t always home to check on your front door at any given time, you may see the vulnerability of your home’s front entryway. But what if it didn’t have to be this way? What if you really could keep an eye on what’s going on at your front doorstep no matter where you are? Thanks to 21st century technology, you’re in luck. With a video doorbell installed at your home, you can take a look at your front door at any given time – whether you are home or out – using any internet connected, compatible device. Beautiful 1080p HD Camera: The Ring 2 takes a step up from the original Ring in that it takes video quality from 960p to 1080p. With this crystal clear video, you can see whoever and whatever is going on in front of your house. Two-Way Communication: While every ring product mentioned in this article does have this capability, it is still mightily important to note that the Ring 2 has this skill. Tell friends you will be home in a second, let your kids know where the spare key is, and scare off unwanted company with the sound of your own voice. Quick-Release Battery: The Ring 2 runs off of a powerful lithium ion battery. This rechargeable battery pack comes out of your video doorbell easily and juices right back up when you need it. Live Viewing: Checking on your property is as easy as taking out your phone and opening the Ring app. You never have to fear for something unexpected going on at your house again with this video doorbell. Night Vision: Admittedly, half the time, your home is simply in the dark at night. This is no problem with the Ring Pro which comes equipped with night vision to adapt to those dark nights were danger lurks. 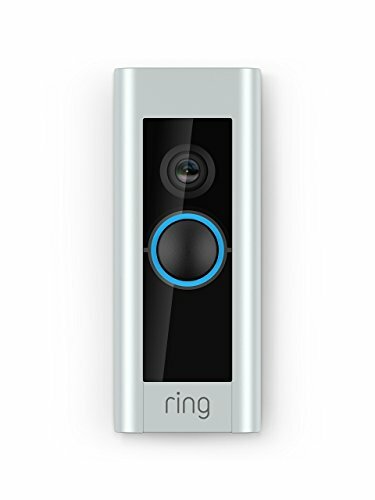 Warranty and Purchase Protection: This Ring product comes with a one year warranty on manufacturer faults as well as lifetime purchase protection for if your doorbell every gets stolen. 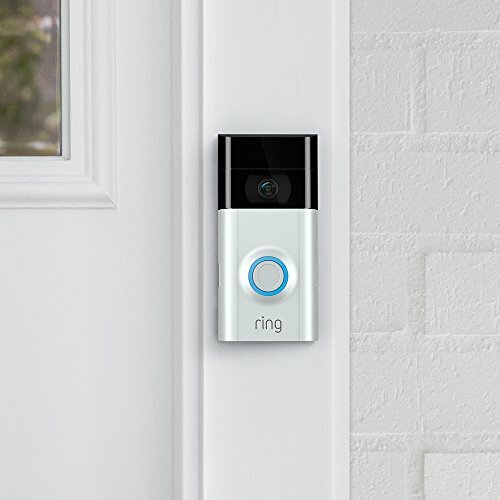 Were this to happen, Ring would replace your doorbell for free! At this point, it may seem like these two products are rather similar. And, truthfully, you would be right about that. There are a ton of great features packed into both of these video doorbells that would make them valuable defenders of your home. Both models contain the highest in today’s technologies to let you keep watch over your home at any given time, from any given place. The Ring 2 versus Pro Comparison: What are the Difference? The Pro is Smaller: If aesthetics are a concern for you, you would notice that both of these doorbells generally look the same. However, the Pro version is noticeably smaller. If you believe that having a video doorbell that is large would disturb the look of your front porch, then the smaller Pro may be a better choice. Power Sources: This is possibly the most major difference between the two doorbells. The Ring 2 runs off of a lithium ion battery while the Ring Pro uses the existing hardwiring in your house for power. If you are someone that wants as little installation as possible or is uncomfortable with working with electrical and wires, then the Ring 2 is the better option. Homekit Capability in the works for the Pro: If getting things hooked up to Homekit is something that you desire, then the Pro is definitely your choice. While it does not have Homekot capability at the moment, this feature is coming. The Ring 2 can’t say this for itself, however. The Pro has Purchase Protection: If you desire a warranty as well as purchase protection on theft, the Pro is the way to go. The Ring 2 has neither of these safeguards while the Pro has a one year warranty and lifetime – yes, lifetime – purchase protection if your unit were to get stolen. Night Vision: The Pro once again wins in this capacity. The camera on the Pro is equipped with a night vision camera to protect against any unwarranted visitors that may come in the night. While this issue could be mitigated through the installation of a front porch light so that a Ring 2 would be able to see, night vision is much more dependable. Price: For all of its added features, the Pro is a bit more expensive. If you want to get the more complex piece of technology, it will cost you about $50 more. The Ring Pro costs about $250 while the Ring 2 can be bought at around $200. While all of its added features, it is not shocking that the Ring Pro costs a bit more. With these two video doorbells sized up against each other, that would mean it is now decision making time. Who is the top dog in the showdown between Ring 2 vs Ring Pro video doorbell models? Well, it really depends on what you, the customer, are looking for. Truthfully, we are looking at two very different products for two very different types of person. 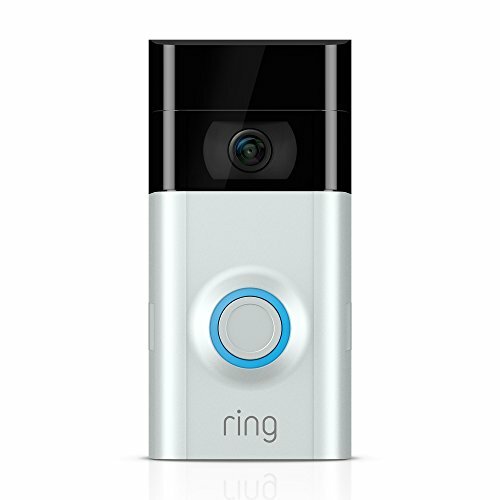 The Ring 2 is the more basic version of the video doorbell. Yes, it is loaded with all of the necessary features that it needs to defend your home like a champion. The other big draw with the Ring 2 is that it is battery operated, meaning less installation issues and more ease of use for those who desire it. Alternatively, the Ring Pro is chock full of industry best technology that makes it a more formidable competitor for those who aren’t afraid of spending a few extra bucks. You would also have to keep in mind that your installation process would involve some elbow grease. However, if those two factors do not keep you away from buying the Pro model, then you will enjoy some extra features. For these reasons, the Ring 2 and the Ring Pro are both capable guardians of your front door that you would enjoy the presence and security of. The Smart, Simple Way to Set Up Your Amazon Echo: Welcome to the Future! Amazon's Fire TV Cube (2018) Review: Think Outside the "Box"